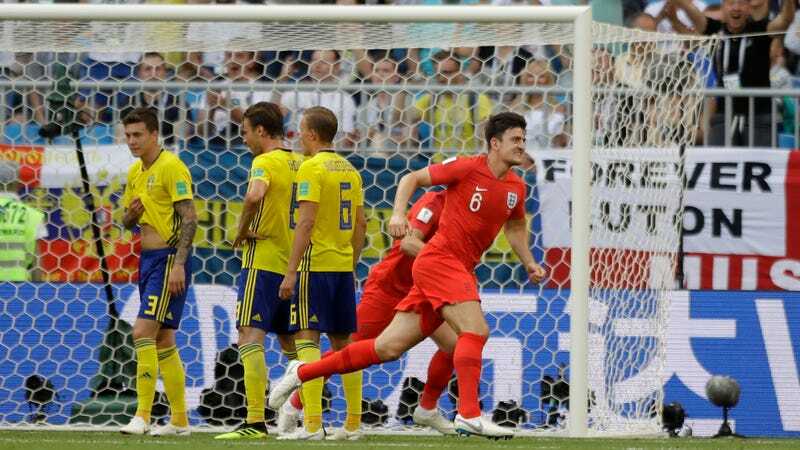 In a truly unfortunate turn of events, England’s World Cup run can no longer go down as anything other than a tremendous success after the terrible lads triumphed over Sweden Saturday, 2-0. We are left to take inadequate consolation from the fact that under no circumstances can both England and Russia advance to the World Cup Final. But either still might! Terrible. England will play the winner of Croatia-Russia in England’s first World Cup semifinal appearance since 1990. Awful.